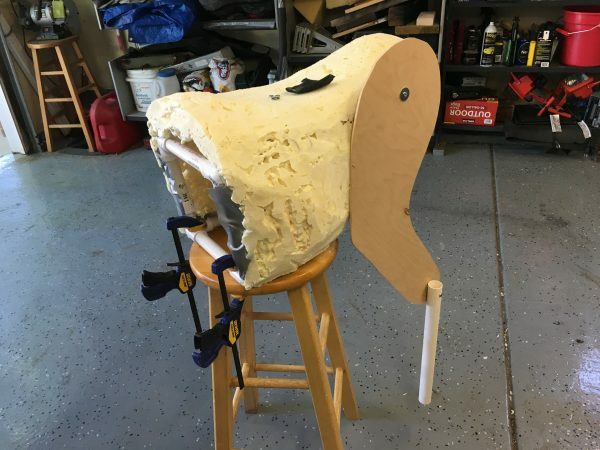 This WIP Fantasia Centaur Cosplay Is Taking Shape « Adafruit Industries – Makers, hackers, artists, designers and engineers! Redditor Ginnabean, a.k.a. cosplayer Ginny Di, is working on a costume that’s new to me: one of the centaurs from Disney’s Fantasia. She’s debuting the cosplay in less than two weeks at Denver Comic Con. She’s been wanting to work on a costume from the animated film for years and decided it was time to move the centaur out of the dream cosplay list and into reality. 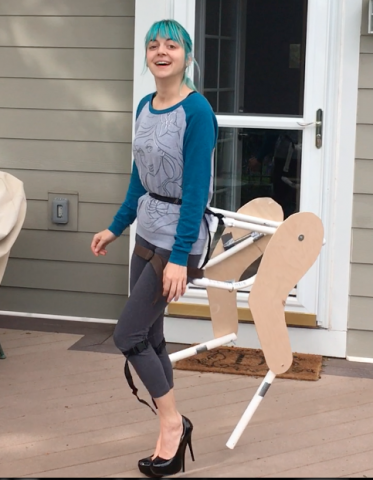 She’s been working closely with her dad to construct the centaur portion of the costume. 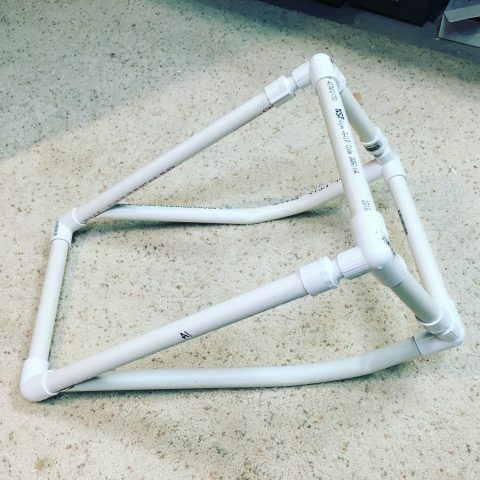 As you can see in the above photo, the skeleton of the creature is one inch PVC pipes. You can see how it moves with her body in this video. Those straps at the knee have fishing line attached to them, which then go up to the “belly” and back down to the opposite “foreleg.” This movement will be smoother when there are hooves to weight down the back legs, I hope. I’m wearing platform heels because these were originally the shoes I was going to try and transform into hooves — I figured a platform heel would most successfully give the appearance of a digitigrade foreleg. Unfortunately, the platform makes the toe jut out so far that the hooves would have to be super big, so I’m replacing the shoes with a regular pump with no platform. Also, the back legs will obviously have hooves, too, eventually. See more photos of the work completed so far at Imgur.